U.S. equity index futures were lower this morning. S&P 500 futures were down 2 points in pre-opening trade. Index futures recovered about 10 points after concerns about an imminent trade war with China related to using U.S. technology will be re-examined. Index futures were virtually unchanged following release of economic news at 8:30 AM EDT. 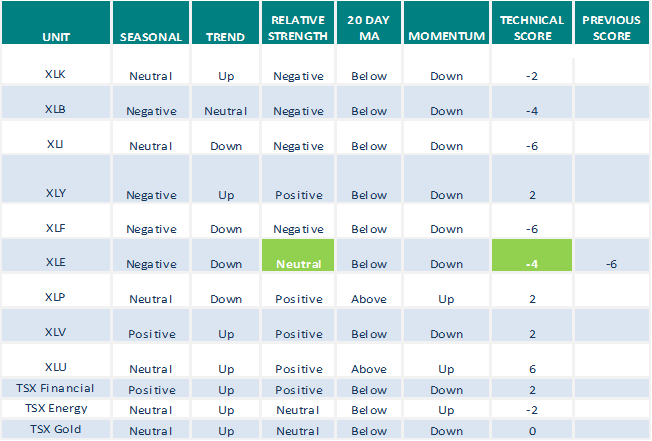 Consensus for May Durable Goods Orders was a drop of 1.0%. Actual was a drop of 0.6%. Excluding transportation, consensus for May Durable Goods Orders was an increase of 0.3%. Actual was down 0.3%. 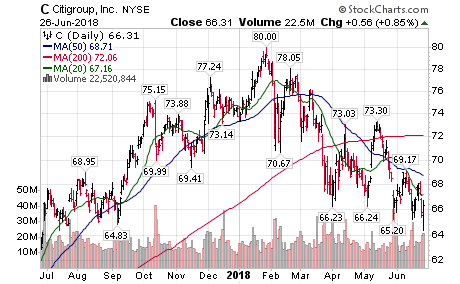 Lennar (LEN $51.65) is expected to open lower after JP Morgan lowered its target price on the stock to $73 from $77. World Wrestling Entertainment gained $6.73 to $73.35 after announcing additional media exposure to its services. 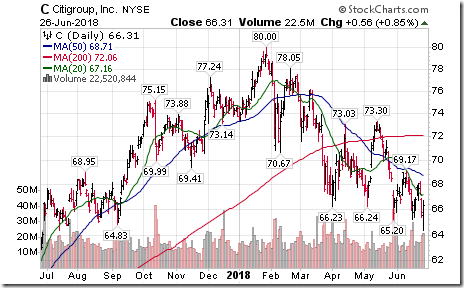 General Mills gained $1.89 to $47.95 after reporting higher than consensus fiscal fourth quarter earnings. Note seasonality charts on the U.S. Financial sector, Commercial and Industrial Loans, Consumer Loans, Margin Debt and Copper Futures. Editor’s Note: After 10:00 AM EDT, intermediate breakouts included SBAC, XEL and EQIX. Breakdown: MTB. 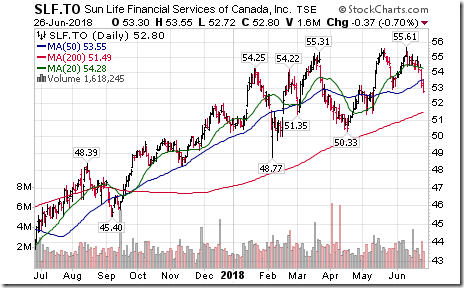 Sun Life Financial $SLF.CA, a TSX 60 stock moved below $52.90 completing a double top pattern. 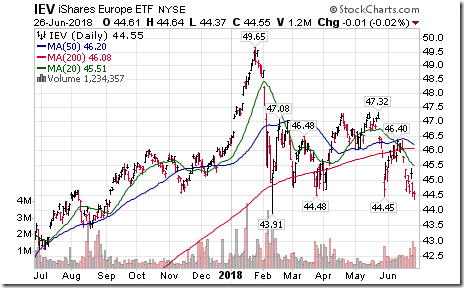 Europe iShares $IEV moved below $44.45 extending an intermediate downtrend. 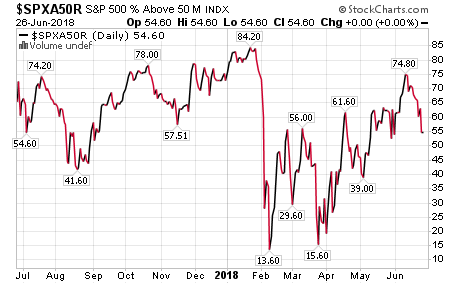 The Barometer was unchanged yesterday at 54.60. 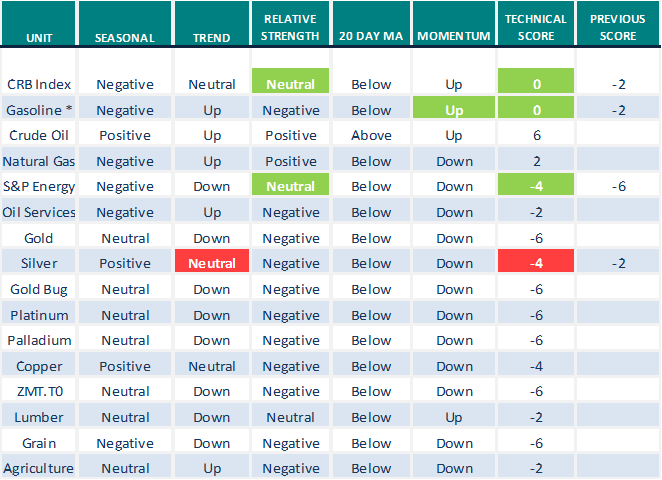 It remains intermediate Neutral and trending down. The Barometer added 1.66 to 62.66 yesterday. 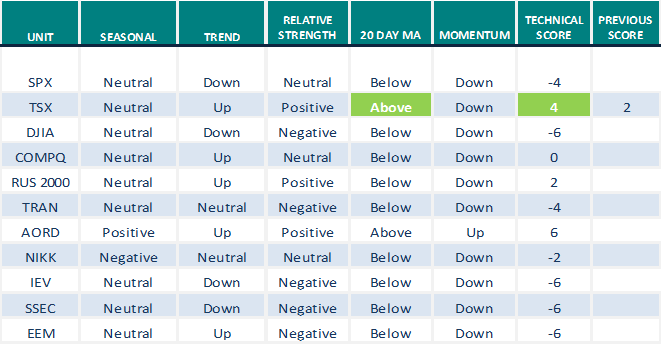 It remains intermediate overbought and trending down. Here is a chart of AC.to. Price is testing $21.76 ‘area’ again. 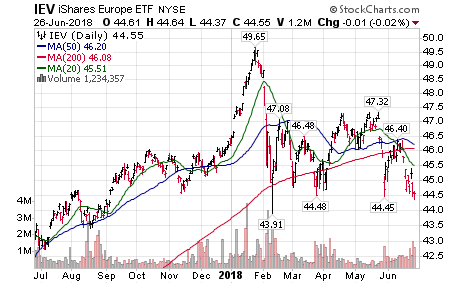 Not good to continue to test the same support as investors who bought there each time have seen the next rally fail each time and question the point of buying again. A break here would suggest a test of the uptrendline at $19. Price though is outperforming WJA.to consistently for whatever that’s worth. 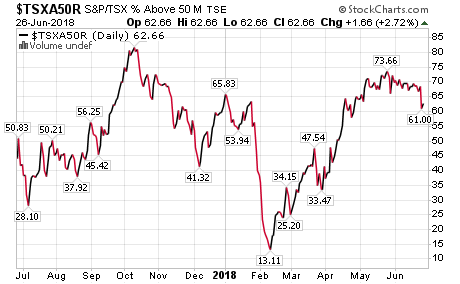 WJA.to seems to be in free fall with no visible support until just under $14. Not impressed with either actually. Buying might be like catching a falling piano. 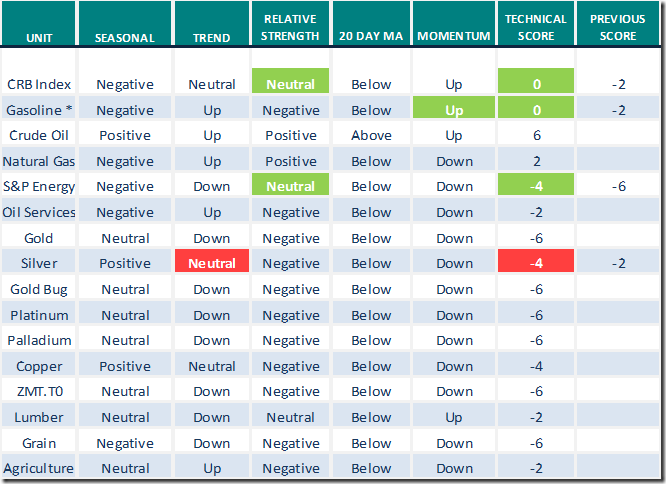 Seasonal trend charts show a more bullish trend from mid October onward. Thanks Ron, much appreciated! Might be best to stay away. I remember when AC was around $2 a pop. Ana, thanks for your response last night. If your disagreement with some of the “very bullish views” on this site is what is keeping you away, I can understand that. But not everyone is bullish. 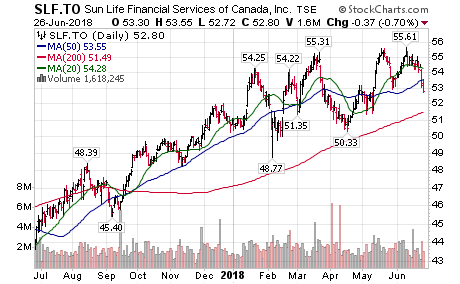 Ron/BC is one of the least bullish and everyone is always asking him for his opinion on this or that stock. And he very patiently accommodates them. 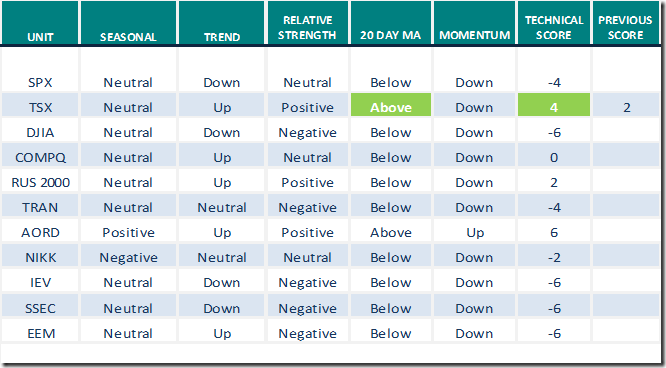 Of course, bullish or bearish views depend on your timeframe. 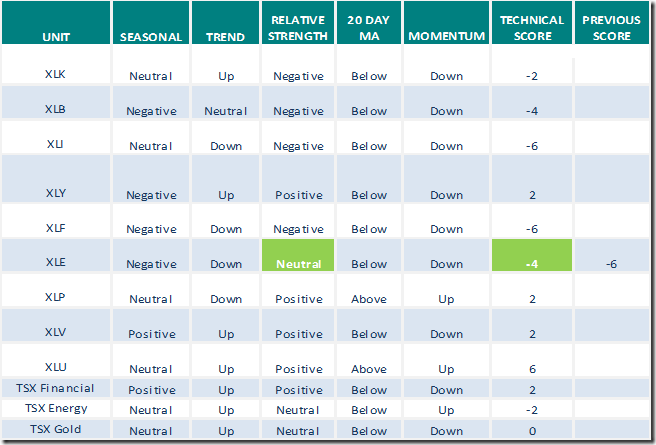 Keith Richards with his “bear-o-meter” and Don Vialoux have been fairly bearish for a couple of months, with the latter’s “caveat emptor” and U. S. mid term elections seasonal chart…but the U.S. market has kept going up, defying all reason. 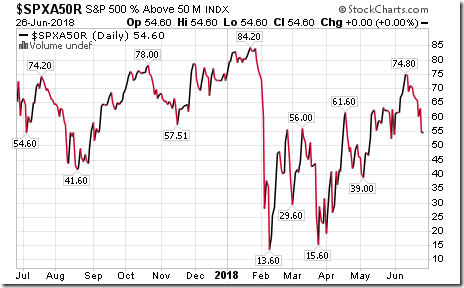 So there really is no point trying to find reasons for why the market does what it does. I am holding a fair amount of cash, waiting for opportunities, trying to be patient. I have missed out on the recent run up for the most part. I did buy some ECA.TO recently, so happy with that. I hope your trading is going well. which is 22415 (critical support). A monthly close under this number means a sustainable decline ahead is possible. Just because you’re paranoid doesn’t mean someone or something isn’t out to get you,lol.